Commercial Real Estate Negotiations (1-day workshop) - Being held June 8th, one day prior to the 103! 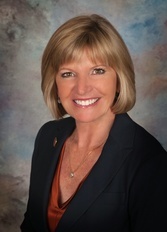 Soozi Jones Walker has been working in commercial real estate in Las Vegas since 1979. She is the broker/owner of Commercial Executives Real Estate Services, specializing in the sale of investment properties and the leasing of office, retail and industrial properties. Additionally, she serves as an expert witness in state and federal court for various clients on real estate and evaluation subjects. Soozi has always been a working broker. She has extensive background in leasing; splitting her time between landlord and tenant representation. She has been selling investment properties throughout her career which have included office buildings, industrial properties, retail centers and land for development. Her clients range from smaller local users to large national corporations. She formerly served as a Real Estate Commissioner for the State of Nevada. Soozi has been teaching for over 20 years and is a senior instructor for the CCIM Institute. She joined the Association of Realtors faculty committee in 1995 and has been named Instructor of the Year eight times. She has taught classes from 15 to 300 students in local classrooms to national conventions. She has taught core CCIM classes and Ward Center Classes throughout the USA for CCIM and also teaches on a local and national basis for NAR. Don't forget to register for the 1 day Negotiations Course being held on June 8th; a prerequisite to this course. DIA is only 20 minutes away if you are catching a flight after the course on Thursday. If your flight out on Thursday is after 7 PM you should be able to make it with no issues. Lunch will be provided every day. CO/WY Chapter Sponsored Happy Hour on Tuesday Night – Relax with a couple of drinks and some appetizers before things get too intense! Please plan your travel time accordingly so that you have time to park, get settled in the classroom, and grab a bite to eat, before we begin promptly at 8:30 AM. Be prepared to engage. This course has heavy group activities, and your willingness to participate will make the difference as to what you get out of it. Try to stay focused and use break time to check your emails and texts. All testing is online after the course. Testing and CU credit information will be provided during the course by your Instructor. If you run into problems when taking your online course, you must call the CCIM Institute at (800) 621-7027, or +1-312-321-4460 during normal business hours CMT. For after hours support call 800-621-7027 ext 4480. Jodi Holstein, the CO/WY CCIM Executive Director, will be assisting with the facilitation of the course, and will be onsite to begin the class daily. If you need to reach her in the morning, prior to the class, please call: 720-206-7746.